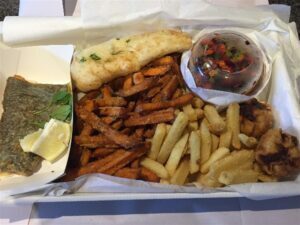 For a coeliac, getting gluten free fish and chips is not a matter of “just going for fish & chips” like it is for normal people. For many it is a a planned exercise and we often travel miles to have it as it is such a rare treat. 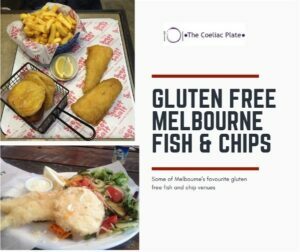 Luckily there are more and more options available in Melbourne now, so this lists some of the popular ones. For me, a fish and chip meal doesn’t seem complete without a potato cake! 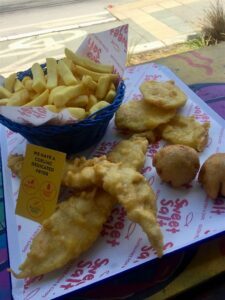 If you are Australian or Scottish you will know what a potato cake (or scallop) is – for everyone else, it is basically a large slice of potato, battered & fried and is the best part of a visit to the fish and chip shop (put salt on it if it hasn’t already been salted). 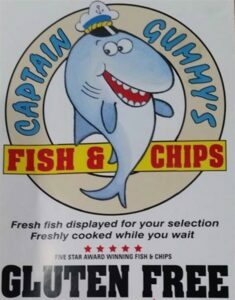 As kids in Australia, we would get a couple of these as a snack instead of chips. 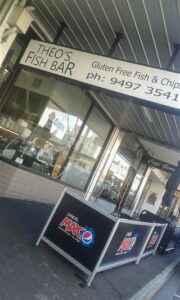 All your gluten free needs are satisfied here – no need to miss out on potato cakes or dim sims! Dedicated coeliac fryer. Eat in or takeaway. Coeliac Australia accredited. 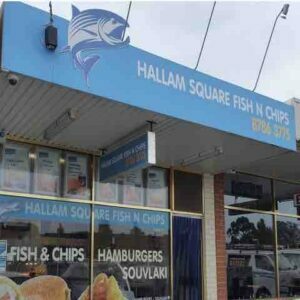 Quality fish and chips (& dim sims) with a dedicated gluten free fryer. Delicious salads too. 95% gluten free. 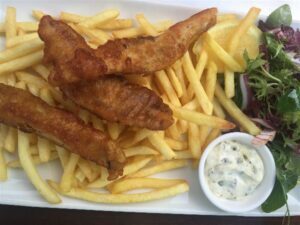 A pub where you can get gluten free fish & chips with a safe fryer. Only gluten free batter is used and they make their own potato cakes. Dim sims also available. 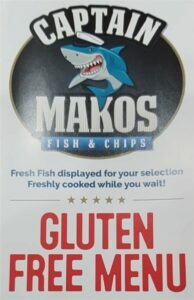 Right by the sea (near the Spirit of Tasmania), there is a selection of GF items, including packs. Double check your order when they are busy! Eat in or take away. A huge gluten free menu with dedicated fryers. 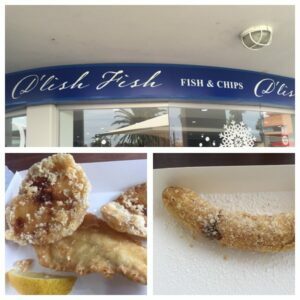 Fish & chips, burgers, chicken nuggets, gravy, potato cakes, dim sims and banana fritters! 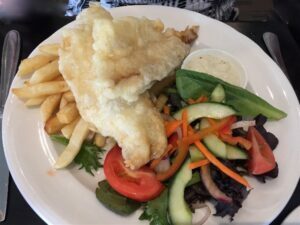 A separate gluten free menu with all the favourites available. They have a separate gluten free fryer and a ‘coeliac’ button on the cash register. 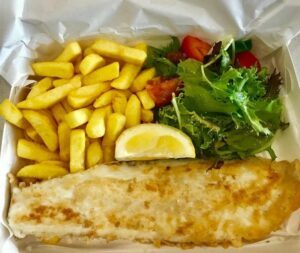 One of many gluten free items on the menu, you can have grilled or battered fish, with chips and salad. 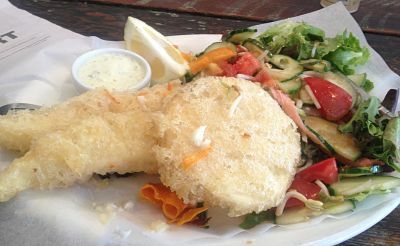 Great fish and chips and salads, but sadly haven’t been doing potato cakes lately. Separate fryer for GF. Full gluten free menu available. Large gluten free menu and separate fryers. All the batter is gluten free and GF options (including hand made potato cakes!) are cooked in a separate fryer. All salads are gluten free. There are plenty more options around Melbourne, so please enter your favourites in the comments below.